*Speechless In Spain: Learning Spanish in Madrid and the Lessons I Learned (Deal, Not Free) by Mercedes Luna. Price: $7.99. Genre: Travel Memoirs Deal , Sponsor, Learning Spanish, How Long does Fluency Take, Wisdom, Living in Spain. Rated: 5 stars on 7 Reviews. 156 pages. ASIN: B075PR5LWB. Posted on October 31, 2017 Author KibetCategories Free Travel Kindle Books, memoir, TravelersLeave a comment on Kindle Travel Deals for Tuesday! *Speechless In Spain: Learning Spanish in Madrid and the Lessons I Learned (Deal, Not Free) by Mercedes Luna. Price: $7.99. Genre: Travel Memoirs Deal, Sponsor, Learning Spanish, How Long does Fluency Take, Wisdom, Living in Spain. Rated: 5 stars on 7 Reviews. 156 pages. ASIN: B075PR5LWB. Posted on October 30, 2017 Author KibetCategories Biographies, Free Travel Kindle Books, memoir, TravelersLeave a comment on Kindle Travel Deals for Monday! 5 Amazing Free Kindle Travel Books for Saturday! *Australia’s Amazing Kimberley: and the Gibb River Road (Australia Series Book 9) by Brian Lawrenson. Price: Free. Genre: Travel Biographies & Memoirs, Sponsor, Adventure Travel at its Best, Non Fiction. Rated: 5 stars on 1 Reviews. 56 pages. ASIN: B00NBVQU86. *Thailand Travel Guide: 101 Coolest Things to Do in Thailand (Chiang Mai, Phuket, Thai Islands, Koh Phangan, Bangkok, Southeast Asia Travel Guide) by 101 Coolest Things. Price: Free. Genre: Nonfiction, Travel, Specialty Travel, Budget Travel. Rated: 4.7 stars on 12 Reviews. ASIN: B076GTMPBF. 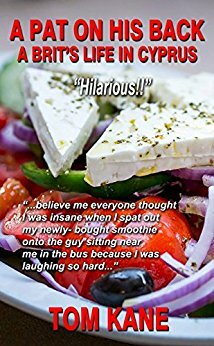 Living in Italy: the Real Deal – Hilarious Expat Adventures – 30% Preview: “A charmingly lighthearted recollection” by Stef Smulders. Price: Free. Genre: Nonfiction, Travel, Europe, Italy, Rome. Rated: 4 stars on 16 Reviews. 28 pages. ASIN: B0755YX64C. Posted on October 28, 2017 Author KibetCategories Biographies, Budget, Free Travel Kindle Books, memoir, TravelersLeave a comment on 5 Amazing Free Kindle Travel Books for Saturday! 5 Excellent Free Kindle Travel Books for Friday! *Speechless In Spain: Learning Spanish in Madrid and the Lessons I Learned (Deal, Not Free) by Mercedes Luna. Price: $7.99. Genre: Non Fiction Deal, Sponsor Travel Memoirs, Madrid. Rated: 5 stars on 7 Reviews. 156 pages. ASIN: B075PR5LWB. Hygge Life: The Best Kept Danish Secret to Experiencing Happy Living by Russell Davis. Price: Free. Genre: Health, Fitness & Dieting, Personal Health, Healthy Living, Nonfiction, Travel, Europe Denmark. Rated: 4.7 stars on 7 Reviews. 60 pages. ASIN: B076JJ6TQZ. Complete RV Buying Guide A to Z: Budget Friendly Guide to Buying Used Motorhome by Bruce Bowers. Price: Free. Genre: Nonfiction, Travel, Food, Lodging & Transportation, Auto & RV Travel. Rated: 4.7 stars on 5 Reviews. ASIN: B076N28RX6. Posted on October 27, 2017 October 27, 2017 Author KibetCategories Biographies, Budget, Free Travel Kindle Books, memoir, TravelersLeave a comment on 5 Excellent Free Kindle Travel Books for Friday! *Speechless In Spain: Learning Spanish in Madrid and the Lessons I Learned (Deal, Not Free) by Mercedes Luna. Price: $7.99. Genre: Nonfiction Book Deal, Sponsor, Travel Memoirs, Madrid. Rated: 5 stars on 7 Reviews. 156 pages. ASIN: B075PR5LWB. Tango Spanish and Buenos Aires Travel Tips: An essential guide for tangueros to learn Spanish and dance in Buenos Aires by Jeanie Tsui, Micaella Digenio. Price: Free. Genre: Nonfiction, Travel, Central & South America, South America, Argentina. Rated: 4.8 stars on 5 Reviews. ASIN: B076M4CWHW. Posted on October 27, 2017 Author KibetCategories Biographies, Free Travel Kindle Books, memoir, TravelersLeave a comment on Kindle Travel Deals for Thursday! ***Living in Italy: The Real Deal – How to Survive the Good Life (an expat travel guide) (Deal, Not Free) by Stef Smulders. Price: $0.99. Genre: Biographies &amp; Memoirs Deal, Sponsor, Travels in Italy, True Stories. Rated: 4.3 stars on 119 Reviews. 280 pages. ASIN: B01N7OY6DM. *Australia’s Amazing Kimberley: and the Gibb River Road (Australia Series Book 9) by Brian Lawrenson. Price: Free. Genre: Nonfiction, Sponsor, Travel Memoirs, Kimberly, Australia, Travel Adventure. Rated: 5 stars on 1 Reviews. 56 pages. ASIN: B00NBVQU86. Myanmar: Myanmar Travel Guide: 101 Coolest Things to Do in Myanmar (Burma Travel Guide, Yangon, Mandalay, Bagan, Travel to Myanmar) by 101 Coolest Things. Price: Free. Genre: Nonfiction, Travel, Specialty Travel, Budget Travel. Rated: 4.8 stars on 6 Reviews. ASIN: B076DT7RCY. Posted on October 24, 2017 Author KibetCategories Biographies, Budget, Free Travel Kindle Books, memoir, TravelersLeave a comment on Kindle Travel Deals for Monday! I want to go to Italy now! ***Living in Italy: The Real Deal – How to Survive the Good Life (an expat travel guide) (Deal, Not Free) by Stef Smulders. Price: $0.99. Genre: Biographies & Memoirs Deal , Sponsor, Travels in Italy, True Stories. Rated: 4.3 stars on 119 Reviews. 280 pages. ASIN: B01N7OY6DM. *The Family Cruise Companion’s Guide to Cruising with Kids (Deal, Not Free) by Elaine Warren. Price: $0.99. Genre: Travel Guide Deal, Sponsor, Cruise Guide, Non Fiction, Travel. Rated: 5 stars on 14 Reviews. 109 pages. ASIN: B071K9HXY9. *Constant Traveller R801168: At age 16 I went to sea. by Rod Baker. Price: Free. Genre: Biographies & Memoirs, Sports & Outdoor, Adventurers & Explorers. Rated: 4.9 stars on 18 Reviews. 267 pages. ASIN: B01B0YRN7C. *OFF THE GRID: Live in a Van, Truck, Trailer, or Motorhome. by JJ Luna. Price: Free. Genre: Nonfiction, Travel, Specialty Travel, Budget Travel, Sports & Outdoors. Rated: 4 stars on 83 Reviews. 56 pages. ASIN: B00C2WEAGY. Posted on October 22, 2017 Author KibetCategories Biographies, Free Travel Kindle Books, memoir, TravelersLeave a comment on Kindle Travel Deals for Saturday! ***Living in Italy: The Real Deal – How to Survive the Good Life (an expat travel guide) (Deal, Not Free) by Stef Smulders. Price: $0.99. Genre: Non Fiction Deal, Sponsor, Biographies & Memoirs, Travel Memoirs. Rated: 4.3 stars on 119 Reviews. 280 pages. ASIN: B01N7OY6DM. *The Family Cruise Companion’s Guide to Cruising with Kids (Deal, Not Free) by Elaine Warren. Price: $0.99. Genre: Non Fiction Deal, Sponsor, Travel, Cruising Guide, How to, Choose the Best Cruise Lines. Rated: 5 stars on 14 Reviews. 109 pages. ASIN: B071K9HXY9. Posted on October 20, 2017 Author KibetCategories Biographies, Free Travel Kindle Books, memoir, TravelersLeave a comment on Kindle Travel Deals for Thursday! I very much enjoyed this book! 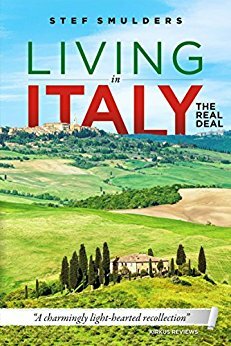 ***Living in Italy: The Real Deal – How to Survive the Good Life (an expat travel guide) (Deal, Not Free) by Stef Smulders. Price: $0.99. Genre: Non Fiction Book Deal, Sponsor, Travel, Tuscany, Living in Italy, How to. Rated: 4.3 stars on 119 Reviews. 280 pages. ASIN: B01N7OY6DM. *The Family Cruise Companion’s Guide to Cruising with Kids by Elaine Warren. Price: Free. Genre: Non Fiction Deal, Sponsor, Travel, Cruising Guide, How to, Choose the Best Cruise Lines. Rated: 5 stars on 14 Reviews. 109 pages. ASIN: B071K9HXY9. *Sicily: Sicily Travel Guide: 101 Coolest Things to Do in Sicily (Italy Travel Guide, Travel to Sicily, Sicilian Food, Sicily Holidays, Palermo Travel Guide). by 101 Coolest Things. Price: Free. Genre: Nonfiction, Travel, Europe, Italy. Rated: 5 stars on 10 Reviews. 43 pages. ASIN: B0766516FL. Posted on October 19, 2017 Author KibetCategories Free Travel Kindle Books, TravelersLeave a comment on Kindle Travel Deals for Wednesday! 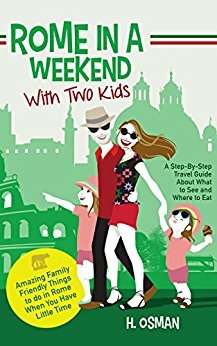 *Rome in a Weekend with Two Kids: A Step-By-Step Travel Guide About What to See and Where to Eat (Amazing Family-Friendly Things to do in Rome When You Have Little Time) (Deal, Not Free) by H. Osman. Price: $0.99. Genre: Non Fiction Deal, Sponsor, Travel Guide, Family Trip to Rome. Rated: 5 stars on 6 Reviews. 43 pages. ASIN: B075VC3XNP. *Service Disrupted: My Peace Corps Story. by Tyler E. Lloyd. Price: Free. Genre: Biographies & Memoirs, Memoirs, Travel, Africa, West. Rated: 4.7 stars on 10 Reviews. 285 pages. ASIN: B074DLCS38. Hygge: The Danish Secrets of Happiness: How to be Happy and Healthy in Your Daily Life. by Maya Thoresen. Price: Free. Genre: Nonfiction, Travel, Europe, Denmark. Rated: 4.7 stars on 4 Reviews. 47 pages. ASIN: B073WLLJXC. Posted on October 14, 2017 Author KibetCategories Biographies, Free Travel Kindle Books, memoir, TravelersLeave a comment on Kindle Travel Deals for Friday!